Rita joined JTI in Lebanon in 2011, and has been responsible for corporate affairs and communications activities for the Middle East and Levant region. Prior to JTI, she held roles of increasing responsibilities and ultimately worked as political analyst for the United Nations Development Program, Office of the Minister of State for Administrative Reform in Beirut and speaks fluent English, Arabic and French. 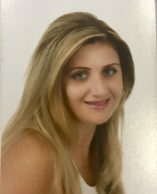 Rita is a Graduate in International Affairs and Diplomacy and holds a Master’s degree in Public Administration from Notre Dame University in Lebanon. In February 2016 Rita joined WWDF on a short-term assignment where she was responsible for regional WWDF Corporate Affairs & Communications activities for CIS+ region, Asia Pacific and Middle East and Africa based in Geneva. In February 2017 Rita moved to Dubai assuming permanently the role of regional WWDF Corporate Affairs & Communications activities for CIS+ Middle East and Africa regions.